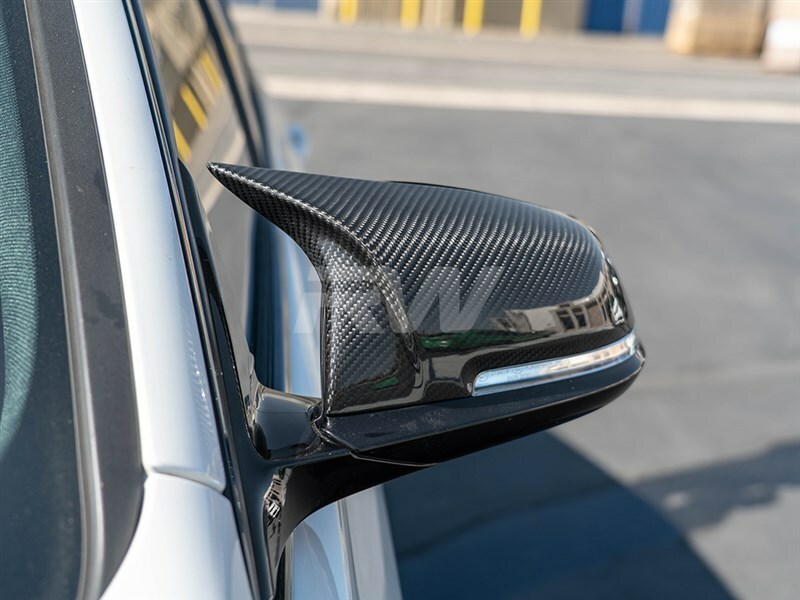 Check out our new M styled carbon fiber mirror cap replacements for the BMW F22 2 series, F30 3 series, F32 4 series and F87 M2. These mirror caps replace your OEM painting mirror cap and gives your BMW a new aggressive style that resembles the M cars. 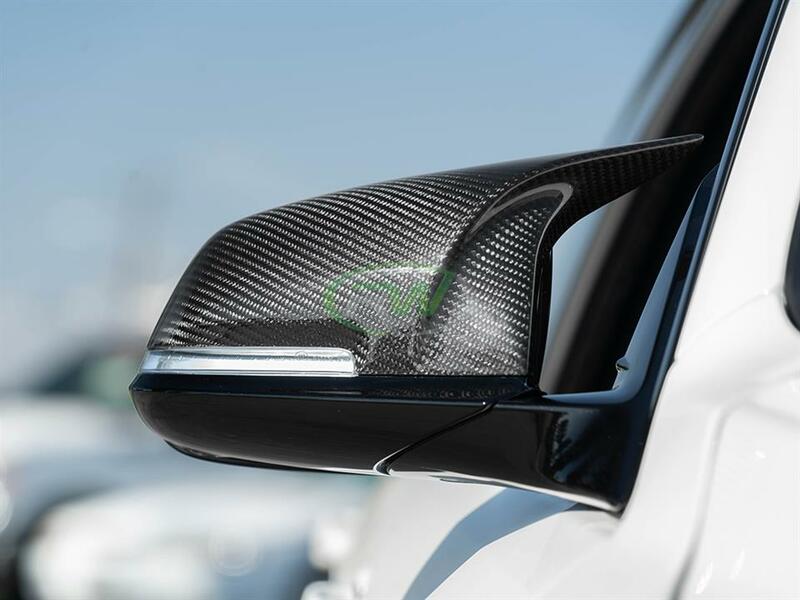 Unlike the other mirror caps we carry that are an ABS plastivc base. 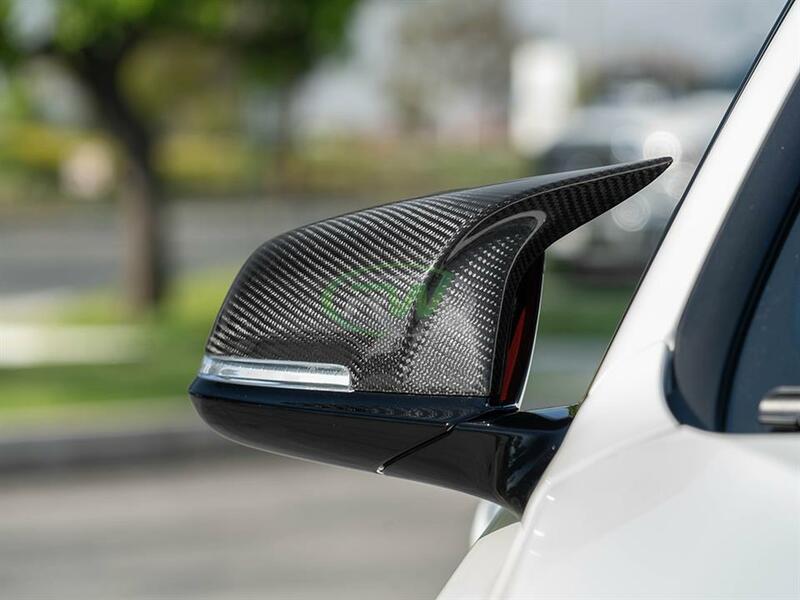 These are made out of 100% carbon fiber for a better fitting and longer lasting mirror cover. They install easy with clip and can be done by a professional in under 15 minutes. 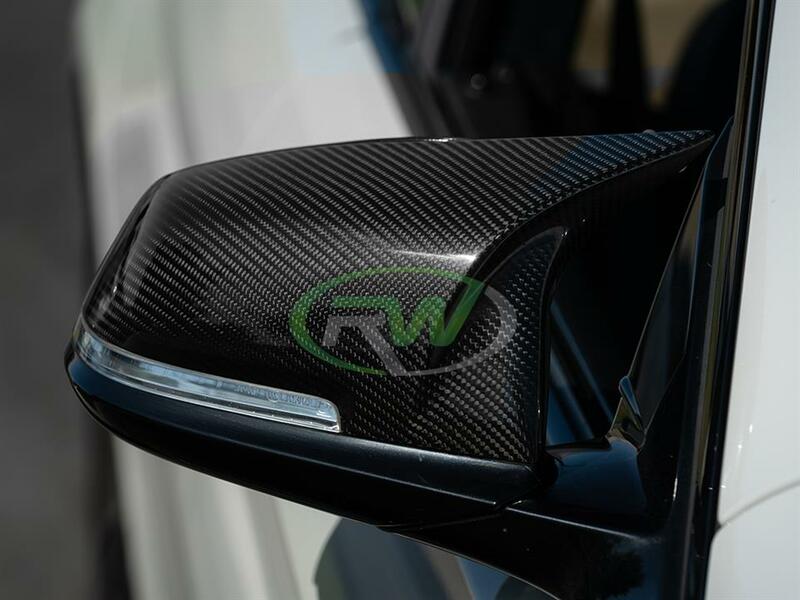 Step up your mirror cap game today and get a new set of M Styled carbon fiber mirror caps from RW Carbon. 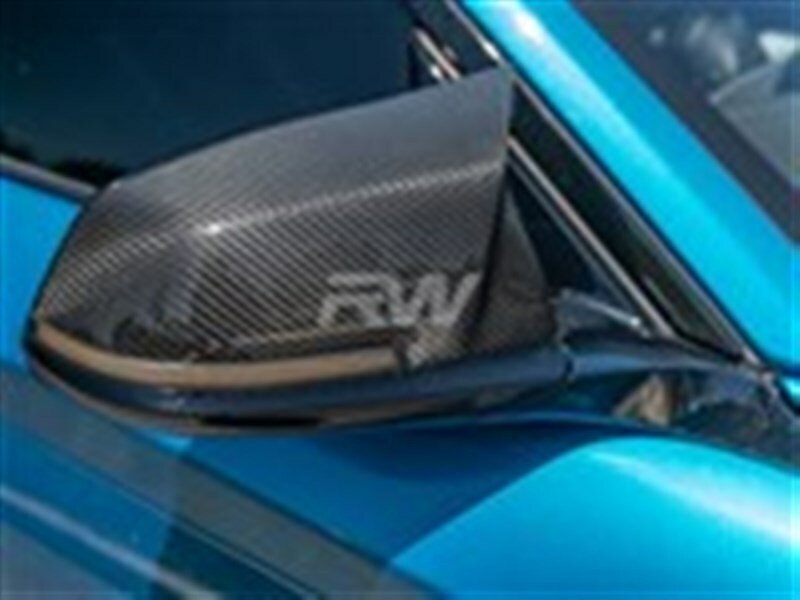 NOTE: These are replacements mirror covers and take the place of the existing one. Not mirror cover overlays. Questions? 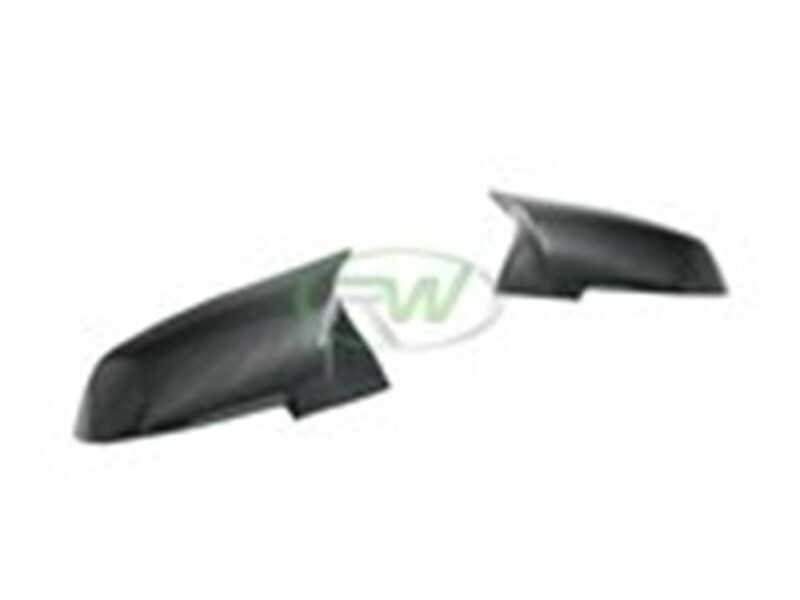 Call us at 7143284406. 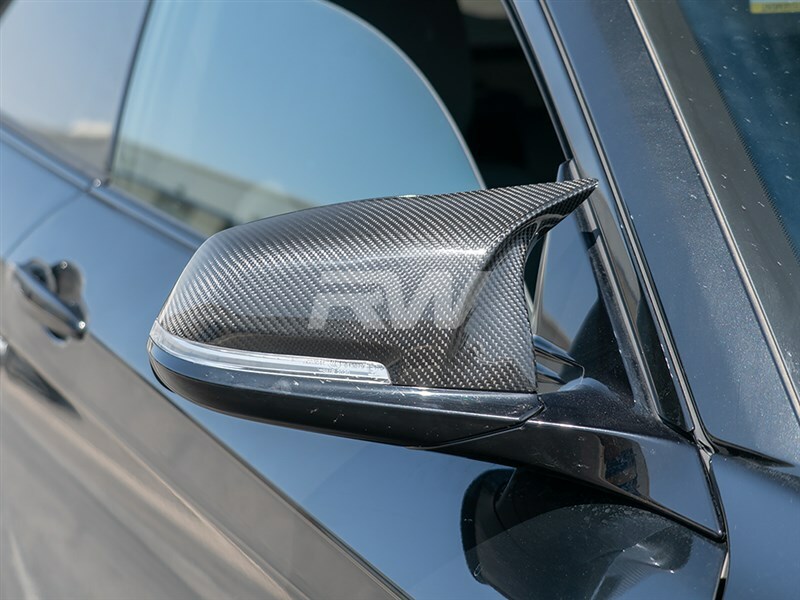 RW Carbon highly recommends that you have all our parts installed by a professional, including these carbon fiber mirror cover replacements. 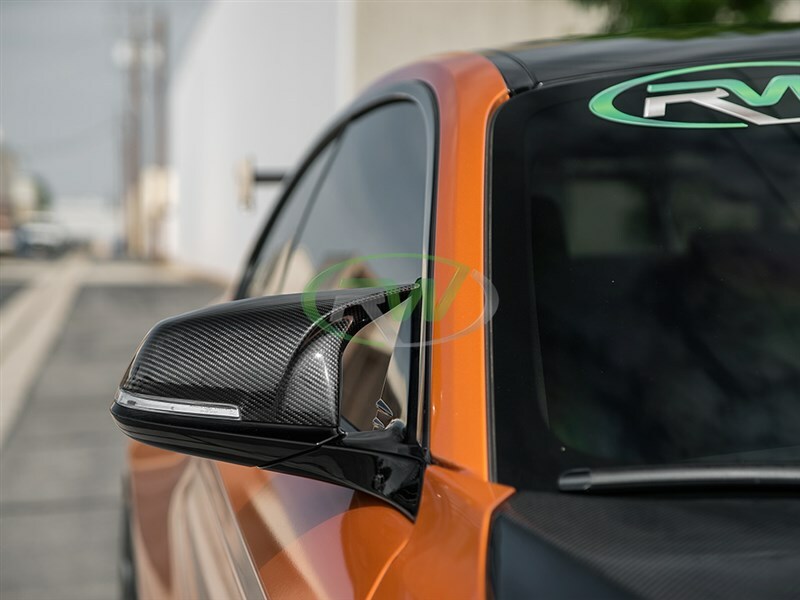 These M styled mirror caps replace your existing mirror cover housing using the same mounting locations. Simply pull off the OEM caps and pop the new ones on. 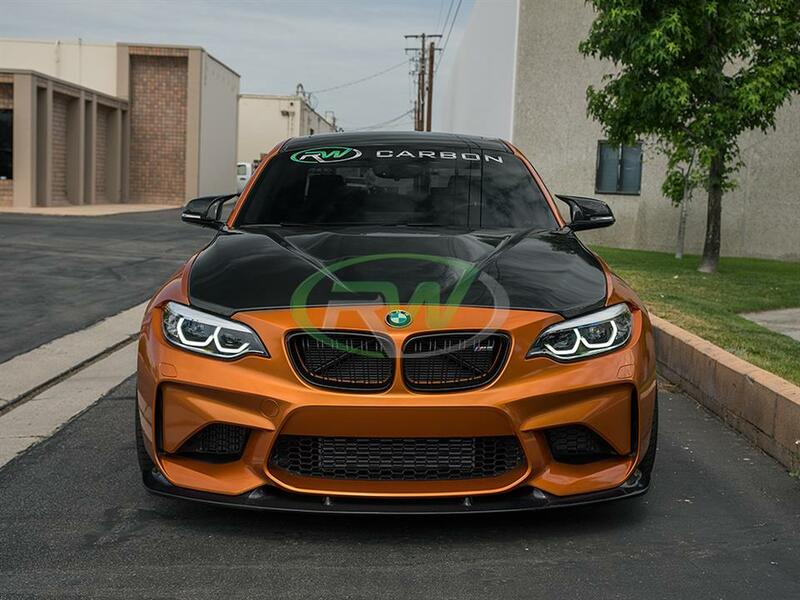 We know there are many companies out there stating that they have the best exterior or interior carbon fiber parts for your F30, F22, F32 or F87. 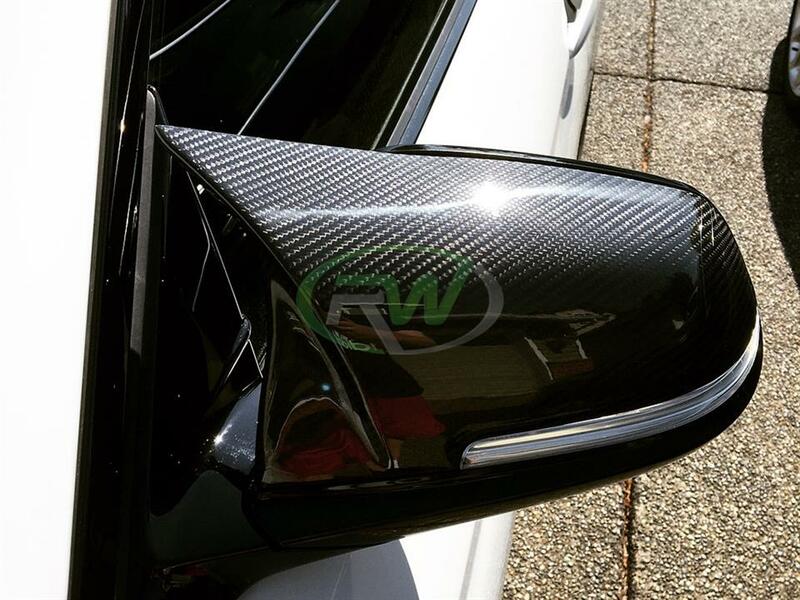 At RW Carbon we pride ourselves on taking the time to quality check all of our outgoing shipments. When you order from many companies online they are shipping a product straight from overseas that has not been quality controlled. 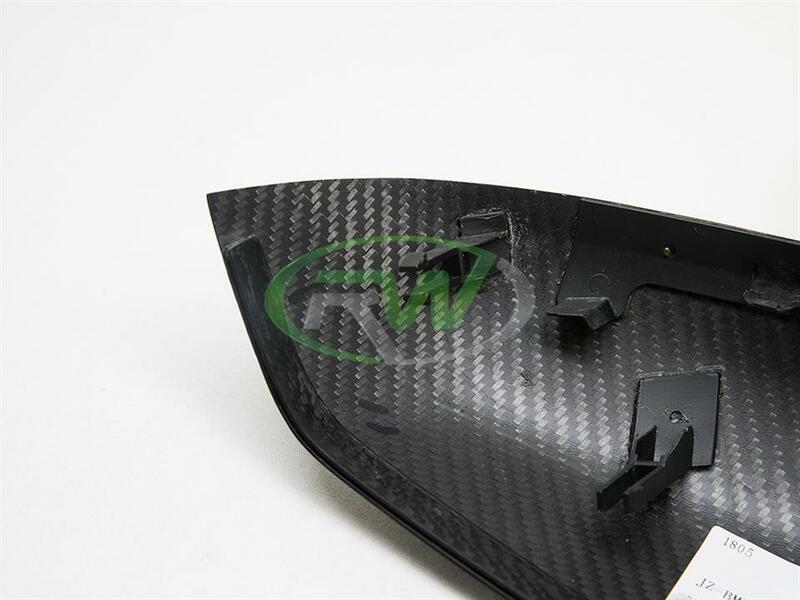 If you order one of these parts you could receive a set of mirror covers that are damaged, have scratches in the clearcoat, or posses overall poor carbon fiber construction. 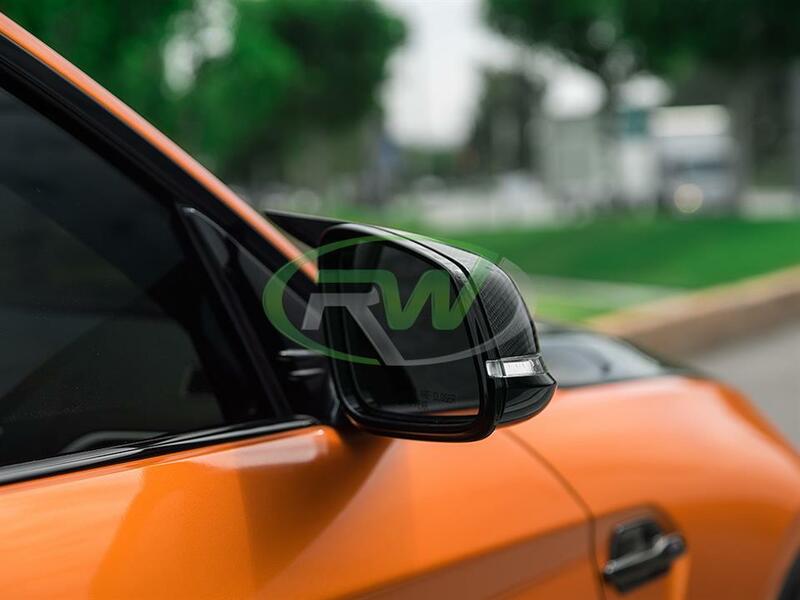 By choosing RW Carbon we make the promise to deliver you a consistent, quality product that is shipped from our Southern California location. Additionally, all products shipping from our warehouse are meticulously inspected, and packaged to ensure you receive the best possible carbon fiber item for your BMW F22 2 series, BMW F30 3 Series, F32 4 Series and F87 M2.